Fat quarter and pre-cut friendly! The beauty of this design is in its apparent randomness and freeform flow. 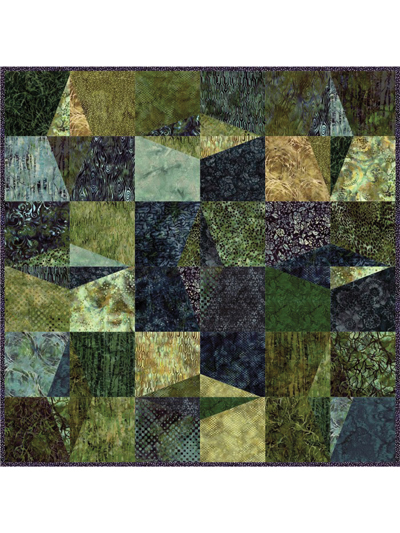 The lack of conformity among the blocks is one of the appealing elements of this quilt. 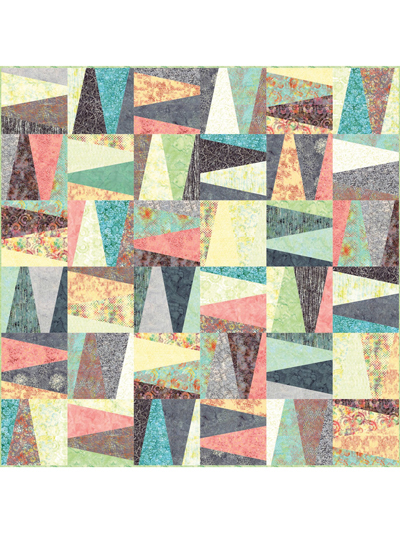 Be prepared to make a stunning, unique, and infinitely interesting quilt! 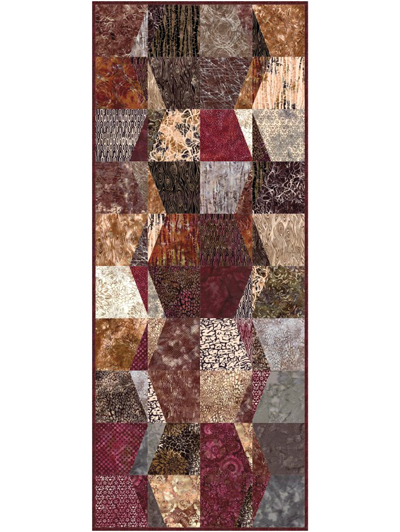 Wall Hanging: 48" x 48"
Table Topper or Runner: 22 1/2" x 22 1/2" or 15" x 37 1/2"